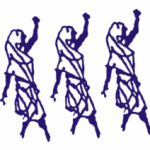 TATA INSTITUTE OF SOCIAL SCIENCES – MAHILA RAJSATTA ANDOLAN (TISS-MRA) STUDY – The study itself has been conducted in close partnership with the Mahila Rajsatta Andolan (MRA) — in conceptualizing the research design, the choice of research sites, data collection and process of analysis. Several people who have been collaborators with the MRA are thus associated with the study too. The broad objective of the study was to understand the gendered participation and local governance in the context of the State, Civil Society and social capital prevalent in the State of Maharashtra. Vibrant methodologies were employed in this in-depth qualitative study. Professor Dr.Majula Bharti & Amita Bhide -TISS has studied four regions of Maharashtra in the context of age old gender perspective & modern institutionalization. National Cetre for Advocacy Studies and Resource & Support Centre for Development have conducted the studyon ‘Panchayat Raj & Marginalized in the Era of Globalization in November 2007. In this study a total of 23 papers attempt to link, explore and examine the unleashing processes of globalization since 1991 and their impact on the lives of the marginalized people. The study also attempts to examine the impacts of Globalization on Panchayati Raj Institution. Efforts are made to document people’s movements & struggles for control over their natural resources. MAHILA GRAMSABHA: Reality In the year 2004, a study was conducted by MRA covering 756 EWRs from 316 Gram panchayats who were not part of MRA intervention from 4 different regions of Maharashrtara viz. Marathwada, Western Maharashtra, Konkan and Vidarbha with an intention to know the ground reality as to how far the provision of women’s participation in governance (as provided by the 73rd Constitutional Amendment Act) was actually used and whether it was used for the benefit of the marginalized. In this study, the elected women representatives were interviewed with an objective to measure their understanding, awareness level and skill base. The information was broadly collected focusing on realities of functioning of Gram Panchayat. For the first phase 84 grass-root women activists were selected from 28 districts of Maharashtra. Each of them was supposed to select 10 villages in the vicinity of their constituencies and interview at least 5 individuals each, including the Sarpanch , Gramsevak and three women Grampanchayat members.